Rugged little launch with generous beam. Construction features a traditional backbone of bolted-up oak, steam-bent frames and strip-planking. Four different arrangements are shown. 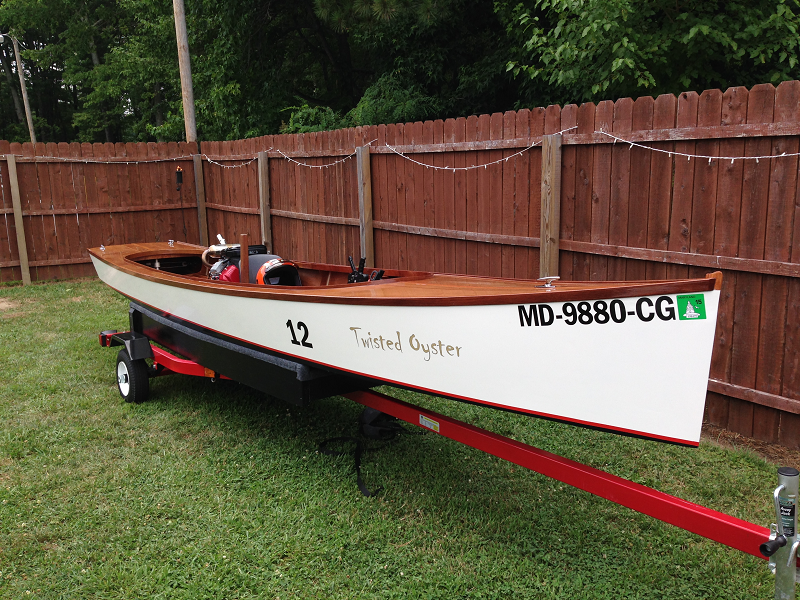 (5 to 10-hp), sheet-plywood outboard cruiser - can live on her trailer. Whenever you wish, she'll be ready to go exploring. Rugged carvel construction, round bottomed. 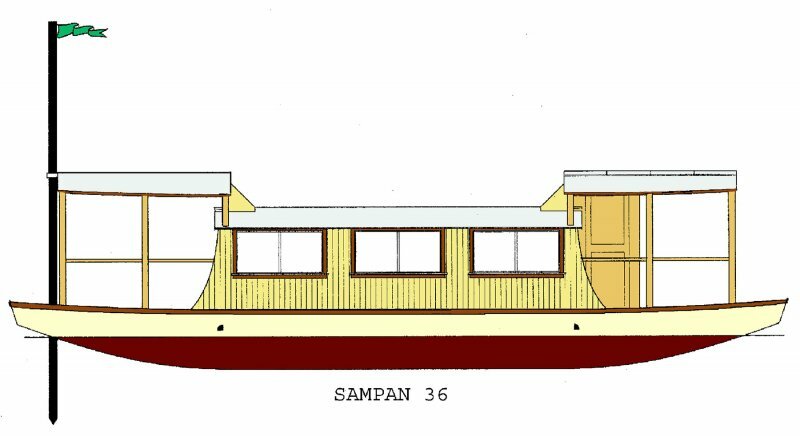 Driven by a small inboard. Construction: Carvel planked over steamed frames. Alternative construction: Cold-molded, Strip. Lofting is required. 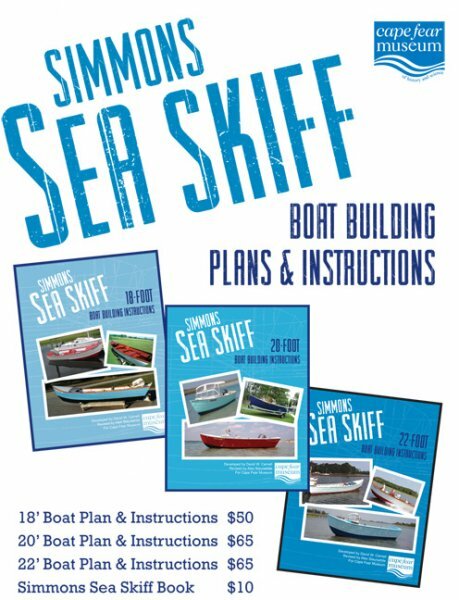 Plans include 3 sheets. 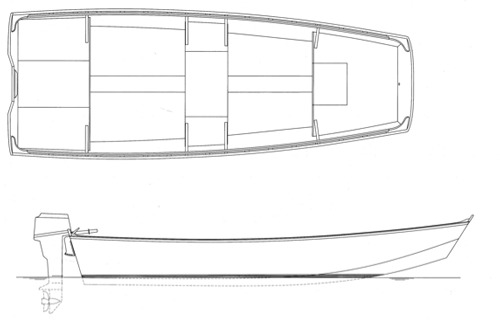 Round-bottomed, carvel-planked powerboat with two berths and a single 300-hp engine. 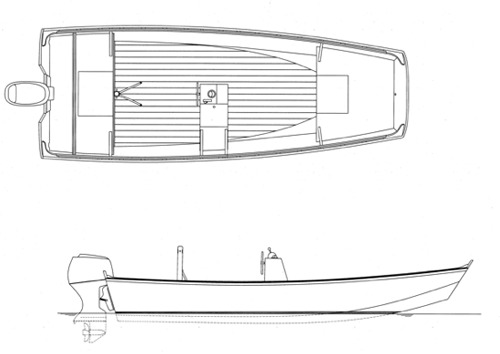 Safe, dry, fast, and seaworthy V-bottomed inboard powerboat designed for carvel planking.